FreeHand MX on Mac OS X.
Adobe FreeHand (formerly Macromedia Freehand) is a computer application for creating two-dimensional vector graphics that are oriented primarily to professional illustration, desktop publishing and content creation for the Web. FreeHand is similar in scope, intended market, and functionality to Adobe Illustrator, CorelDraw and Xara Designer Pro. Because of FreeHand’s dedicated page layout and text control features, it also compares to Adobe InDesign and QuarkXPress. Professions using FreeHand include Graphic Design, Illustration, Cartography, Fashion and Textile Design, Product Design, Architects, Science Research, and Multimedia Production. FreeHand was created by Altsys Corporation in 1988 and licensed to Aldus Corporation which released versions 1 through 4. In 1994, Aldus merged with Adobe Systems and because of the overlapping market with Adobe Illustrator, FreeHand was returned to Altsys by order of the Federal Trade Commission. Altsys was later bought by Macromedia, which released FreeHand versions 5 through 11 (FreeHand MX). In 2005, Adobe Systems acquired Macromedia and its product line which included FreeHand MX, under whose ownership it presently resides. Development has been discontinued but it is still sold in versions for Microsoft Windows and Mac OS X. FreeHand MX is available in English, German, Chinese (traditional and simplified), French, Italian, Japanese, Spanish and Swedish languages. FreeHand MX continues to run under Windows 7 using compatibility mode and under Mac OS X 10.6 (Snow Leopard) within Rosetta, a PowerPC code emulator, and requires a registration patch supplied by Adobe. Freehand 10 runs without problems on Mac OS X 10.6 with Rosetta enabled, and does not require a registration patch. Someone using a later version of Mac OS X than 10.6 can use VMware Fusion, VirtualBox or Parallels to virtualize Mac OS X Snow Leopard Server and run Freehand using this emulator. In 1984, James R. Von Ehr founded the Altsys Corporation to develop graphics applications for personal computers. Based in Plano, Texas, the company initially produced font editing and conversion software; Fontastic Plus, Metamorphosis, and the Art Importer. Their premier PostScript font-design package, Fontographer, was released in 1986 and was the first such program on the market. With the PostScript background established with Fontographer, Altsys also developed FreeHand (originally called Masterpiece) as a Macintosh Postscript-based illustration program that used Bézier curves for drawing and was similar to Adobe Illustrator. FreeHand was announced as “...a Macintosh graphics program described as having all the features of Adobe’s Illustrator plus drawing tools such as those in Mac Paint and Mac Draft and special effects similar to those in Cricket Draw.” Seattle’s Aldus Corporation acquired a licensing agreement with Altsys to release FreeHand along with their flagship product, Pagemaker, and Aldus FreeHand 1.0 was released in 1988. FreeHand’s product name used intercaps; the F and H were capitalized. 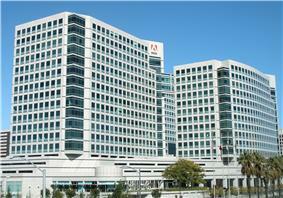 In the same year of FreeHand 4 release, Adobe Systems announced merger plans with Aldus Corporation for $525 million. Fear about the end of competition between these two leading applications was reported in the media and expressed by customers (Illustrator versus FreeHand and Photoshop versus PhotoStyler.) Because of this overlapping of the market, Altsys stepped in by suing Aldus, saying that the merger deal was “a prima facie violation of a non-compete clause within the FreeHand licensing agreement.” Altsys CEO Jim Von Ehr explained, "No one loves FreeHand more than we do. We will do whatever it takes to see it survive." 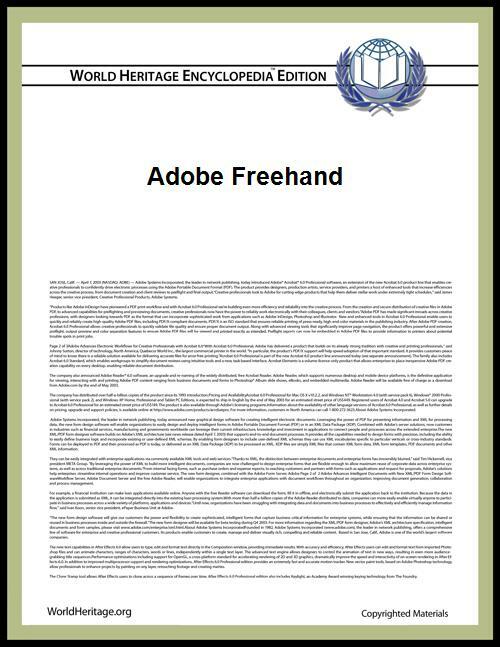 The Federal Trade Commission issued a complaint of Adobe Systems on October 18, 1994 ordering a divestiture of FreeHand to “remedy the lessening of competition resulting from the acquisition as alleged in the Commission’s complaint,” and further, the FTC ordering, "That for a period of ten (10) years from the date on which this order becomes final, respondents shall not, without the prior approval of the Commission, directly or indirectly, through subsidiaries, partnerships, or otherwise ... Acquire any Professional Illustration Software or acquire or enter into any exclusive license to Professional Illustration Software;"  (referring to FreeHand.) FreeHand was returned to Altsys with all licensing and marketing rights as well as Aldus FreeHand’s customer list. By late 1994, Altsys still retained all rights to FreeHand. Despite brief plans to keep it in-house to sell it along with Fontographer and Virtuoso, Altsys reached an agreement with the multimedia software company, Macromedia, to be acquired. This mutual agreement provided FreeHand and Fontographer a new home with ample resources for marketing, sales, and competition against the newly merged Adobe-Aldus company. Altsys would remain in Richardson, Texas but would be renamed as the Digital Arts Group of Macromedia and was responsible for the continued development of FreeHand. Macromedia received FreeHand’s 200,000 customers and expanded its traditional product line of multimedia graphics software to illustration and design graphics software. CEO James Von Ehr became a Macromedia vice-president until 1997 when he left to start another venture. 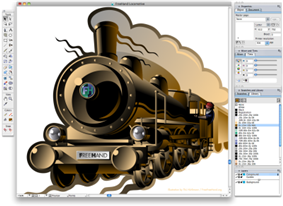 A FreeHand 5.5 upgrade was part of the FreeHand Graphics Studio (a suite that included Fontographer, xRes (image editing application), and Extreme 3D (3D animation and modeling application). FreeHand 8.0 sold for $399 in 1998. This version began integrating to the Web with the ability to export graphics directly to Macromedia Flash. Customizable toolbars and keyboard shortcuts were prominent features. Also Lens Fill and Transparency, Freeform tool, Graphic Hose, Emboss Effects, and a “Collect for Output” function for print. FreeHand 10.0 sold for $399 in 2000 or $799 as part of the Studio MX bundle. Macromedia released this as Carbonized for both Mac OS 9 and Mac OS X. It shared a common Macromedia GUI Interface and several tools were added or renamed to match Flash tools. New features include Brushes, Master Pages, Print Area, and a Navigation Panel for adding links, names, and adding actions or notes to objects. Also “Smart cursor” Pen and Bezigon Tools and a Contour Gradient Fill. FreeHand MX sold for $399 in 2003 or $1580 as part of the Studio MX 2004 bundle. FreeHand 11 was marketed as FreeHand MX and featured tighter interface integration with the Macromedia MX line of products. This release also featured a revamped Object Panel where all attributes and text properties are centralized for editing, Multiple Attributes for unlimited effects, Live Effects, Live-edit of basic shapes, Connector Lines tool, Flash and Fireworks integration, Extrude, Erase, and Chart tools, along with improvements to the standard tools. During the development of FreeHand MX, the customer install base was 400,000 users worldwide but because of competition with Adobe Illustrator’s market share, Macromedia focused instead on its web oriented lineup of Flash, Dreamweaver, Fireworks, and Contribute. In 2003, Macromedia reduced the FreeHand development team to a few core members to produce the 11.0.2 update released in February 2004. The company released a final product suite prior to the 2005 merger with Adobe, called Studio 8, which was characterized by the absence of FreeHand from the suite’s interactive online applications of Dreamweaver, Flash, Fireworks, Contribute, and FlashPaper. ^ These are features that first appeared in FreeHand, before other applications began to use them.